The 110-year-old Steele’s Mill Dam wasn’t just an eyesore for visitors to Hitchcock Creek – it impeded the flow of water and prevented the restoration of aquatic life. But in 2009, the U.S. Army Corps of Engineers removed the dam, a first step toward transforming this Rockingham, North Carolina waterway into a premier paddling destination. Now residents and visitors can explore Hitchcock Creek’s “Blue Trail” by canoe or kayak. The creek, until recently off limits for recreation, is quickly becoming a source of local pride and perhaps even a source of revenue for the Rockingham community. The City of Rockingham had a clear mission: revitalize the dormant Hitchcock Creek and transform it into an outdoor recreation and ecotourism area. By investing in the surrounding area and following proven conservation strategies, city officials resolved to help people rediscover the region’s natural beauty. To make their vision a reality, the City purchased two tracts of land with creek access and established official protection of 90 acres of surrounding forest. These actions opened over 10 miles of paddle-ready waterways for people to enjoy! Ultimately, the creek will offer access to the larger Pee Dee River and a primitive campground. In the future, the City of Rockingham plans to rent canoes and kayaks to visitors. The idea is to make Hitchcock Creek one of the South’s most popular paddling spots. Get Out and Get Paddling! Complete a course: While Hitchcock Creek has several sections that are adequate for beginning paddlers, you should still complete a basic, on-water course before planning your adventure. There’s no substitute for knowing the proper safety and rescue procedures! Wear your lifejacket: A lifejacket or personal flotation device (PFD) is 100% necessary for paddling down any creek or river. In many locations, use of a PFD is required by law. Prepare for cold water: River and creek water can get cold, especially during winter. Be sure you’re prepared for cold water by wearing a wetsuit or drysuit when water temperatures dip below 60 degrees. Share the trail: A little courtesy among paddlers will go a long way toward preventing a collision. 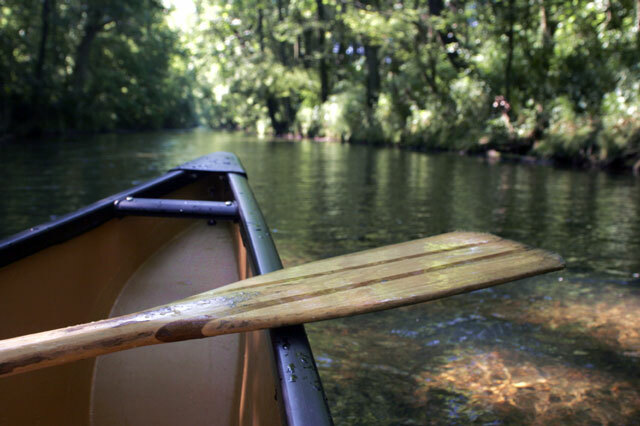 Be mindful of others enjoying the creek and always be on the lookout for other watercrafts. Be prepared: Weather changes quickly, and nightfall sometimes approaches more rapidly than you reasoned. Always bring along lights, rain gear, and a first aid kit – you never know when you might need them. Another safety measure recommended by the American Canoe Association is having a way to contact help if something goes wrong. In addition to a phone number for your emergency contact, take along the address and phone number for the Rockingham FastMed Urgent Care facility. We’re located just 3 miles from the Steele Street access point for Hitchcock Creek and are available seven days a week to assist you. Enjoy Rockingham’s Blue Trail, and be sure to paddle safe!